OLDRIGHTIE: Sundays Becoming Comedy Day! Something's Not Going For The Deep State As It Should. The Brexit scenario appears to have much going on, as ever, behind the scenes that we, as little people, consumer fodder, are rarely privy to. However some of the ridiculous elements desperate to please their deep state masters, the Sunday Times tubby Shipman amongst them, get ever more idiotic. After weeks of unsubstantiated nought but planted gossip and innuendo, today, it seems, The Sunday Times have excelled themselves for laughs. "Plans to evacuate the Royal Family". As if their fate, in the event of "No deal" riots, is akin to the Tsar's family fate. Presumably they would be lured to their deaths with the promise of stockpiled Magnum ice creams and the saturation in Lynx smellie stuff! As for Nissan. Like most global car brands their decade long success is now ending and recession, tighter bank controls on lending and huge cracks in the deep state's once impregnable power are showing. Their EUSSR, German 4th Reich construct looking pretty shabby, too. Not just from Brexit but revolution flirtation in France, outright rebellion from the Italians, Greece still smarting badly, Poland using Churchillian gestures and Hungary at best, indifferent to the EU demands. Then we were treated to the IRA Sinn Fein woman lecturing us, abetted by Marr, on the "re-unification" of Ireland dependent on the WA backstop trap. See, behind the deep state, EUSSR thinking is divide and conquer. They have always played the long game, this lot. Slowly ensnare the remainers, May and her Civil Service very much on board, into this withdrawal trap which in the future would lead to a vote in the North for uniting with Eire and returning, or indeed, never have left, the EUSSR. Next would be pressure for an Independent Scotland. 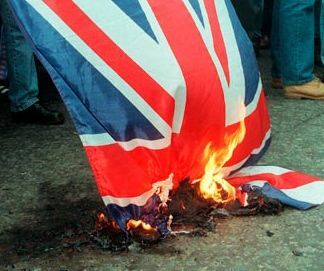 Even if decades away, the break up of the pesky United Kingdom. The isolation or Islamification or both, of the recalcitrant English, Anglo Saxon culture, would be complete. The Welsh left to determine their course, surrounded by EUSSR forces. Police, military and trade pressures making that choice a no brainer. Now this might be seen as another Sunday piece of humour. Would that it were. If just a tiny amount of truth lies behind the effort to analyse the behind the scenes machinations is correct, it also shows the powerful set back for these ambitions of the deep state a WTO deal exit would be. If we had a decent, proper Government and Parliament, these dangers, instinctively felt by 52% of the people, at least, would be seen. Then this maligned and vilified "no deal" would be immediately embraced and supported. A divided archipelago was, for centuries, a bloody and divisive failure. "No deal" would give us a chance to remain a peaceful, United Kingdom. Unfortunately, too many self interested fools can't see the dangers surrounding us. The destruction of our race and culture is the agenda. To date a very successful one.